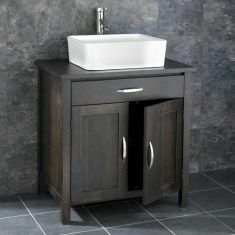 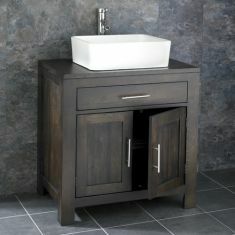 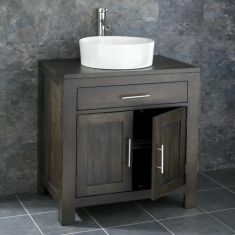 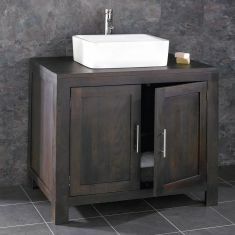 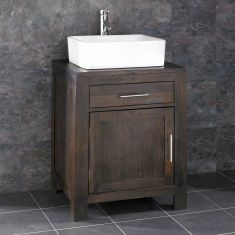 Clickbasin offer a full range of Solid Oak Bathroom Vanity Cabinets which are perfect for any sized bathroom. 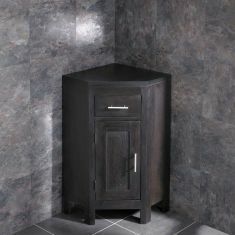 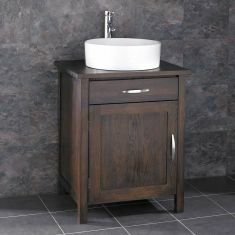 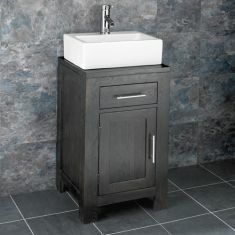 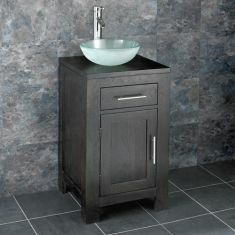 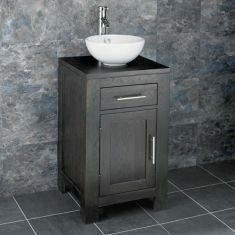 Made from 100% Solid Oak, with no MDF, Chipboard or plywood, you can be sure you will receive a PRE Assembled Vanity Cloakroom cabinet of the highest quality, with basin tap and waste to match. 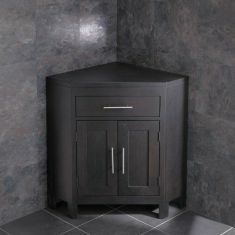 The cabinets in this section are taken from our CUBE, OHIO and ALTA ranges, so if its traditional or modern there will be a piece for you. 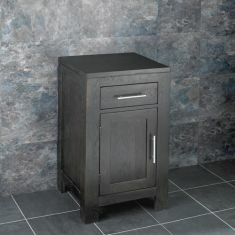 There is an adjustable internal shelf for maximum storage in each cabinet. 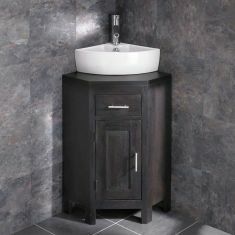 All of the cabinets shown on this page can come complete with the basin as shown on the product description, either Glass, Stone or White Ceramic, finished off with a Mono mixer tap and pop up waste. 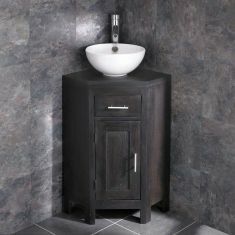 If you would prefer a different basin or tap, then please contact us with your preferences and we will be able to advise you further.